Free Download Project on Online Bill Payment Site in Java.The Basic aim of this project is to provide Online Payment facility to it's student. The project’s main objective is to develop an web application in Java Server Pages for institutions which managed many colleges.By this web application they can easily and effectively manage their Fees collection counter.As there was a high rush in old Fees Collection system,therefore this new Bill Payment System is developed specifically for Colleges. 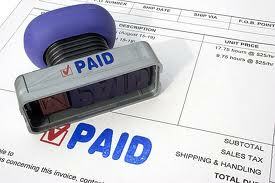 It allows the user to search for Old Paid Fees History Online. This website provides Accountant to manage Fees easily.